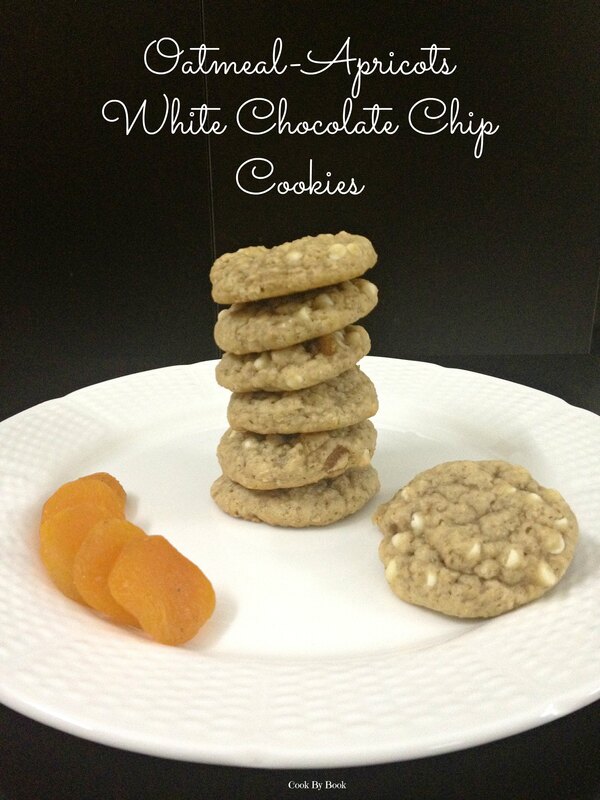 I am sure you all remember this amazing cookie swap I told you about few blog-posts earlier. This was my first year participating and I was over-enthusiastic! I mean why not? I get to experiment with new cookie recipes this holiday season and get to support a great cause as well. Well, today I am going to post recipes for all those cookies so bear with me as there will be three recipes for you to enjoy as opposed to one. Let’s talk about these cookies. 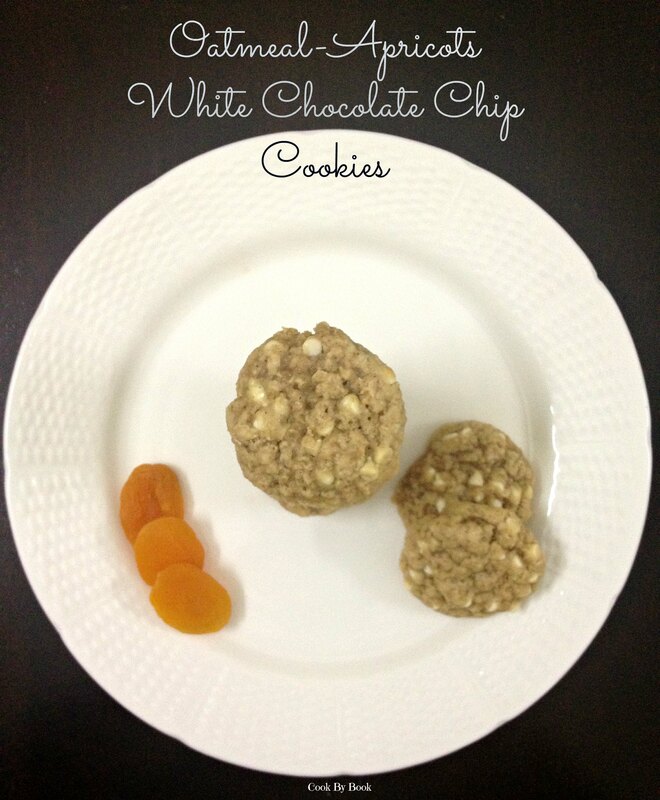 They are deliciously chewy, these oatmeal cookies. Each bite is bursting with the goodness apricots and white chocolates. I added them in abundance. Apricots and white chocolate pair beautifully together but feel free to experiment with other dried fruit of your choice. I can’t wait to make these with dried cranberries soon! Enjoy! Chilling the dough prebaking for 30-60 minutes is a MUST. In a small bowl, whisk together flour, oats, baking soda, salt and cinnamon. Set aside. In a bowl of your electric mixer, beat the butter until soft. Add both sugars and beat until light and fluffy on a medium speed for about 1-2 minute. Add egg and continue to beat for another minute. Whisk in vanilla extract. Fold chopped apricots and white chocolate chips in the dough. Let the dough chill in the refrigerator for 30 minutes to 1 hour. This step is a must as the dough is too sticky to handle at room temperature. Preheat the oven at 180ºC / 350ºF. Line the cookie sheet with parchment paper. Take 1 Tbsp of dough and roll it into a ball between your palms. 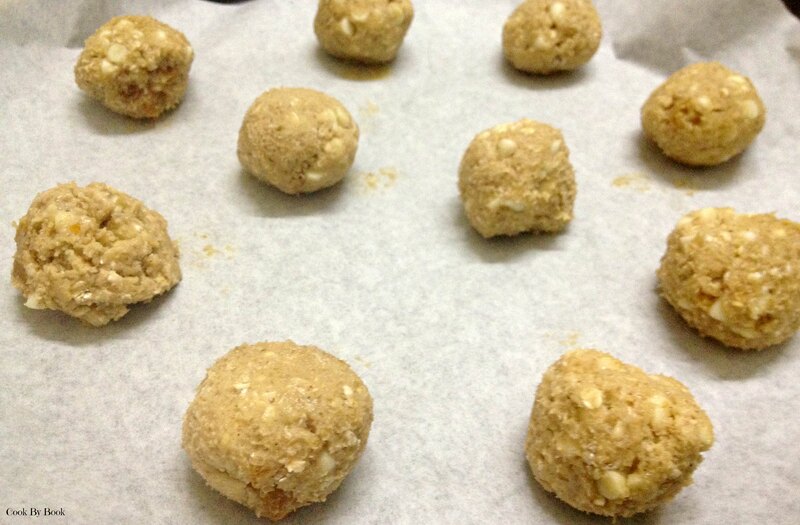 Arrange the dough balls on cookie sheet 2-inch apart from each other and bake for 9-11 minutes. Do not overbake. The sides should be golden and center may seem soft but it will set once cooled. Let the cookies cool on a cookie sheet for 5 minutes and then transfer it to a cooling rack. Once cooled completely, transfer it to an airtight container. Cookies keep fresh for about 7 days at room temperature.